Figure 1: A matrix view from Orchestrator, provides an easyto-read, intuitive visualization of configured zones and defined whitelist exceptions. 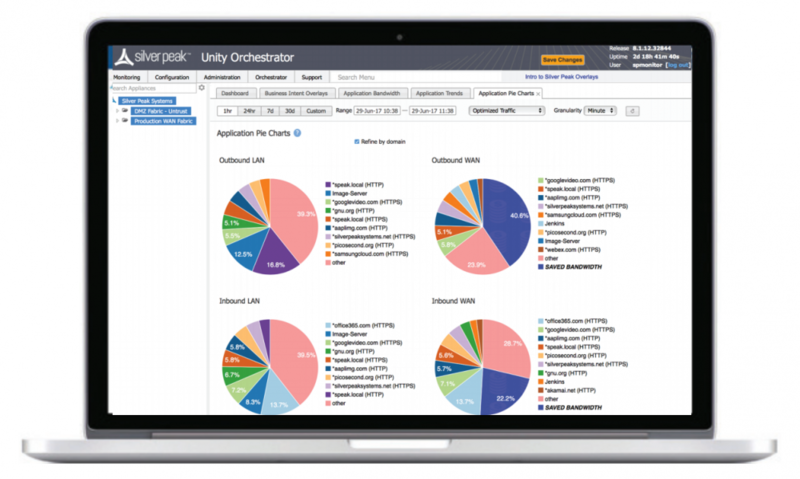 Figure 2: Unity Orchestrator enables centralized definition and automated distribution of network-wide business intent policies to multiple branch offices. Figure 3: Unity Orchestrator monitoring report on application consumption. Gain an accurate picture of how Software-as-a-Service (SaaS) and Infrastructure-as-a-Service (IaaS) are being used within the organization. 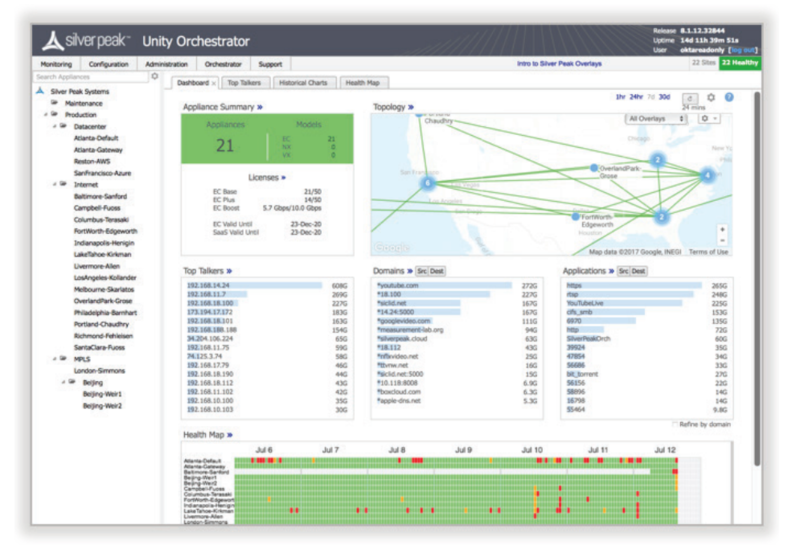 Figure 4: Unity Orchestrator Dashboard summarizes overall SD-WAN health, appliance status, topology and top applications. 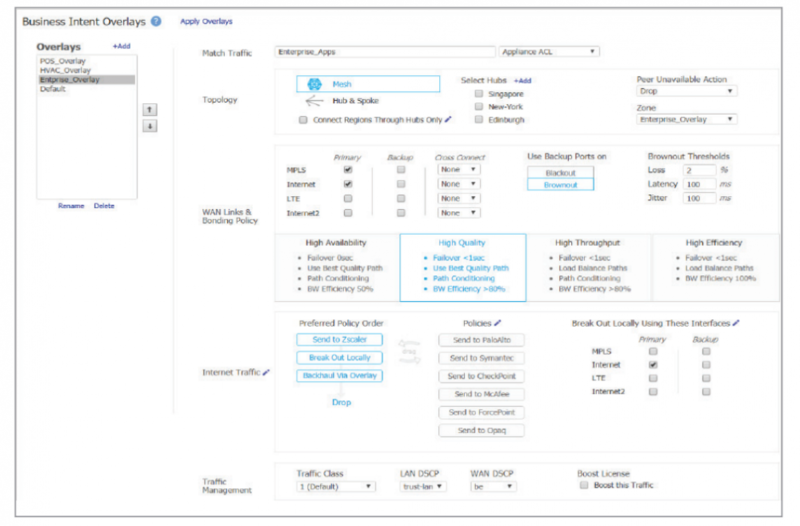 Cloud-hosted Orchestrator: A Silver Peak cloud-hosted Orchestrator provides a highly reliable, zero-CAPEX alternative deployment model. 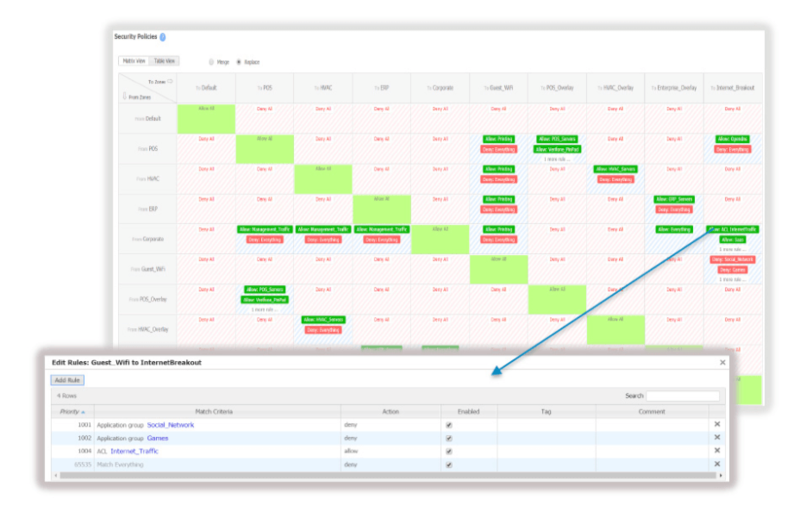 With an optional license, organizations can subscribe to Orchestrator as a software service that supports all Orchestrator features without the complexity of managing on premise virtual compute and storage resource. Unique Orchestrator instance for each enterprise customer ensures secure SD-WAN management, monitoring and reporting. Visibility and Control: Customers benefit from unprecedented levels of visibility into both legacy and cloud applications. Security: Centralized segmentation of users, applications and WAN services into secure zones and automated application traffic steering across the LAN and WAN in compliance with predefined security policies, regulatory mandates and business intent.